The 2005 Development Plan, currently being adopted, builds on the principles of previous plans, focusing on issues of sustainability in all its forms and engagement with the wider community. The primary aspiration of the plan is the advancement and promotion of UCD as a modern university, one that excels in both academic achievement and the built environment. It promotes UCD as a sustainable, healthy and living campus with 24 hour living through the development of both academic and non-academic facilities, increased on campus residences and promotion of knowledge based industry linked research facilities. 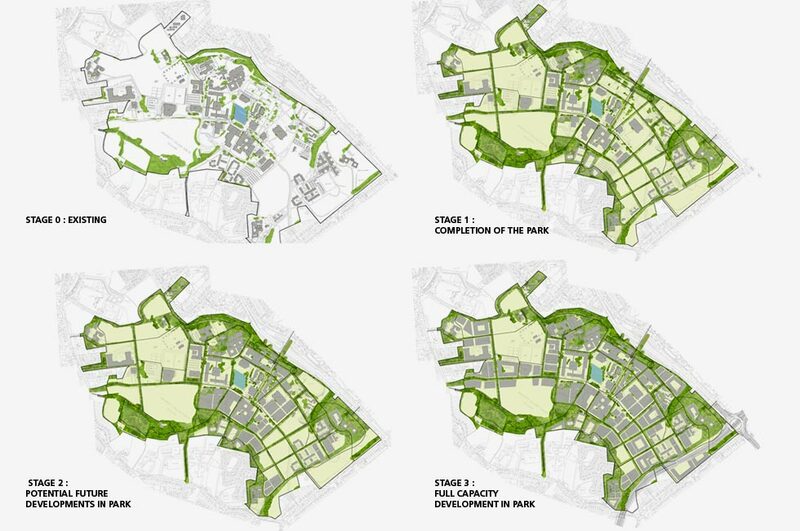 While elements of the Development Plan, such as landscaping, have a medium and longer term time horizon, the plan is seen as having a ten year life-span with a critical review being undertaken in 2010. 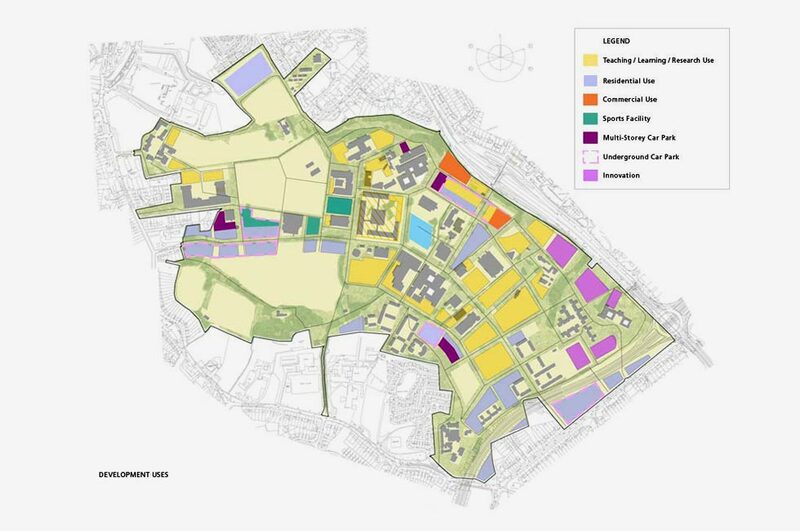 A key element of the Development Plan is the protection and enhancement of the unique landscape setting which is synonymous with the college. 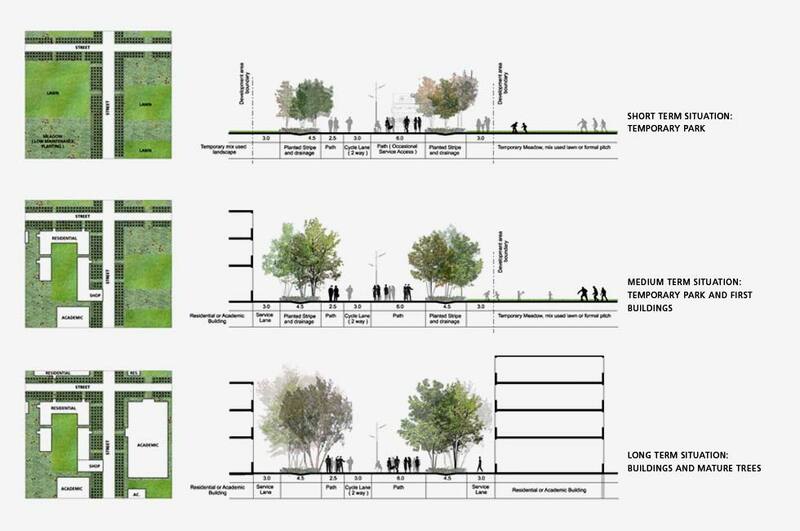 The plan consolidates and enhances the existing landscape setting through the the creation of a dense network of green routes that stitch the campus together and intensify the pedestrianisation of the whole area, thereby reinforcing the feeling of ‘being within a Park’ which is intrinsic to UCD. 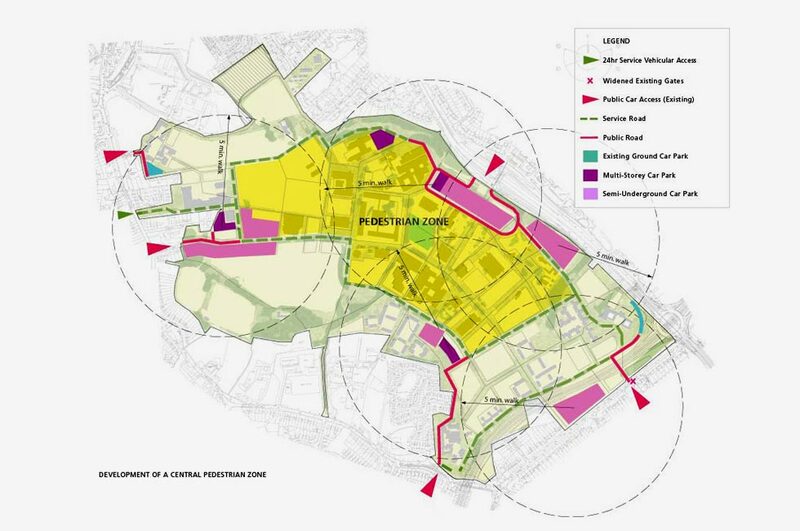 The plan’s integrated transport and commuting strategy incorporates the concentration of transport facilities at the main entrances, the restriction of vehicular traffic from the main campus core, a comprehensive cycle network and the greater provision of protected pedestrian routes through the siting of buildings, colonades, arcades and bridge links.